Two years ago, Sam Finlay (cc'ed) and I had the idea of creating an informative and entertaining documentary designed to educate minor hockey playing families about the different options available for players striving to play Major Junior hockey (WHL, OHL, QMJHL). 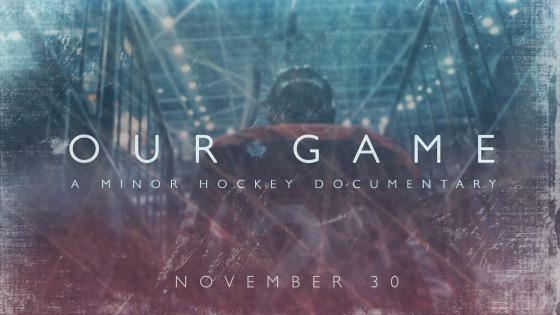 All our hard work finally paid off when Our Game: A Minor Hockey Documentary officially launched earlier this month! The six-episode TELUS-funded miniseries follows several elite Bantam players in western Canada who are faced with a choice: play for their local minor hockey association or join an academy in the highly coveted CSSHL league. Everyone's situation is unique so which option will be best for you and your family? Our Game: A Minor Hockey Documentary is available on the STORYHIVE YouTube channel through this link: https://www.youtube.com/ playlist?list=PLuj3rWl- eKLFNlts3BPBItrbbDuIoowEM. I encourage you to share this documentary with all the members of your MHA for education and awareness or for pure entertainment. Grab your family, grab some popcorn, and enjoy!